Founded in 2004, October Toys was an award winning independent toy company based in Los Angeles, CA. Production services included prototyping, project management, and manufacturing for a variety of designer and mass market toys. October Toys also produced a number of in-house brands such as OMFG mini figures as well as licensed lines such as Skeleton Warriors action figures. With over 20 years of production experience, owners George Gaspar & Ayleen Dority focused on creating fun, quality products while bringing their passion for toys, art, and design to every project. 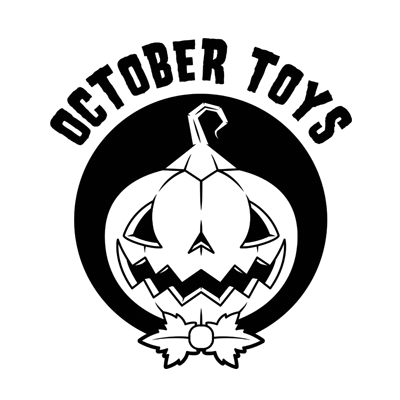 October Toys products have been seen in retail locations around the world and toy fans can follow them online and tune into Toy Break to see what�s new in the wonderful world of toys! Like most children, my first toy was a plush. A Curious George to be exact. Growing up I had all sorts of action figures from He-Man to Star Wars and everything in between. I currently collect way too many things to list. As far as experience, I have been working in the industry since 1996. I have worked all over from replica prop shops to McFarlane Toys, SOTA Toys, Mezco Toys, Gentle Giant Studios, and many others in between. Most of my professional career has been with action figures and collectibles which is why, with October Toys, I really wanted to get into the vinyl/art side of things. A lifelong Lego maniac and plush aficionado, Ayleen's toy addiction started with classic 80s toy lines like He-Man, The Real Ghostbusters, G.I. Joe, TMNT, Cabbage Patch Kids, and My Little Pony. Her obsession grew to include Monster In My Pocket, McFarlane action figures, and a plethora of designer vinyl. 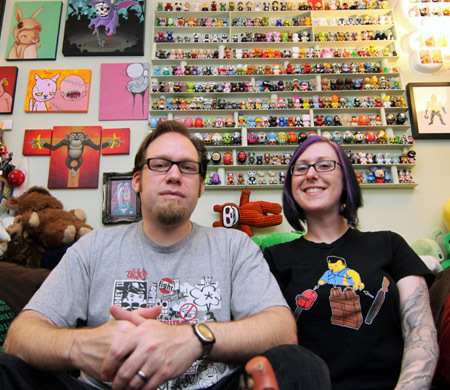 When not making toys, Ayleen hosts/produces the weekly toy show Toy Break, coordinates the annual toy/art show CurioCon and LEGO® fan event Bricks LA, and visits Disneyland frequently. She also has a strange affection for maps, a fascination with dragons, and an unyielding love of Ewoks.